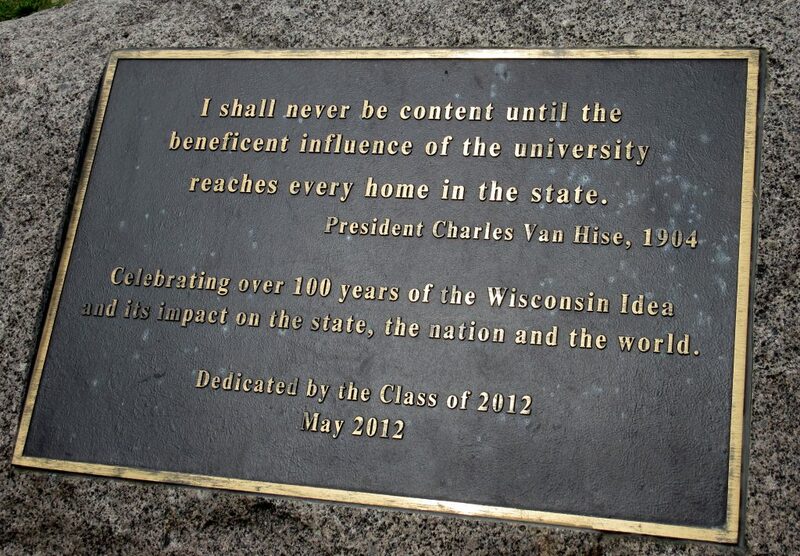 When former University of Wisconsin President Charles Van Hise declared in 1905 that he would “never be content until the beneficent influence of the University reaches every family in the state,” he gave early expression to the Wisconsin Idea. 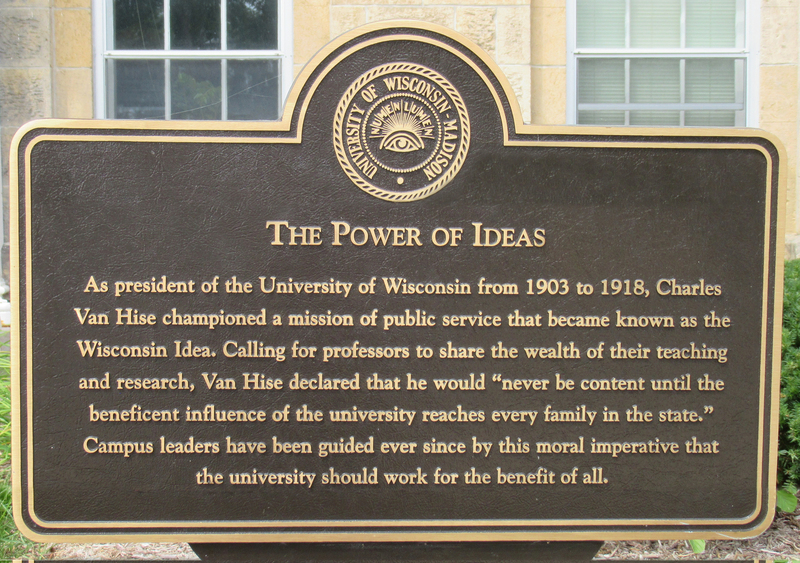 Van Hise brought the knowledge produced by the university to Wisconsin’s citizens and policy makers in the hopes that it would illuminate social problems and contribute to progressive and effective solutions. Bringing students and faculty in the UW System into a broader public conversation with the citizens of the state, we will examine how the knowledge produced in the university benefited the public in the past and can continue to do so today. As a part of the course assignments, students have been encouraged to submit public blog posts as reflections on each of the public lectures. Rather than write papers that would be read only by the instructor of the course, these blog posts would be made public and should be written in a way for public consumption and be written as starting points for further conversation, in the spirit of the Wisconsin Idea. A course offering in the Department of Sociology at the University of Wisconsin – Madison. The course combines a small undergraduate seminar with a public lecture series that examines the University of Wisconsin’s relationship with the people of the state. We examine our origins, from the birth of the university in 1849, a year following the birth of Wisconsin as a state in 1848. We explore our successes and failures along the way. In fifteen weeks we merely scratch the surface of suitable topics. The public lecture series for 2017 takes place 15 consecutive Tuesday evenings at 7pm. Most public lectures take place in “the Auditorium”, 1111 Genetics/Biotechnology Center, except where noted on this schedule. Three public lectures (Sept. 26, Nov. 14, and Dec. 5) are in partnership with “Crossroads of Ideas” in the Wisconsin Institutes for Discovery. We’d love to see you there! Please contact the Department of Sociology main office at the number below if you would like to formally enroll in the class as a student or an adult auditor. This year we will be LIVESTREAMING each lecture – Tuesday evenings at 6 p.m. at https://www.biotech.wisc.edu/events. If you are unable to attend, each of the 15 lectures will be videotaped and a link to the talk will be added to that speaker’s page within a week of the original lecture. Please come back to this website for more information. HISTORY of COURSE: see archive page.